'The wretched, the beautiful, the horned-nosed and sweet-bosomed soon strutted and strolled before me.' Andrew Maitland Southern falls hard for a comely bust. 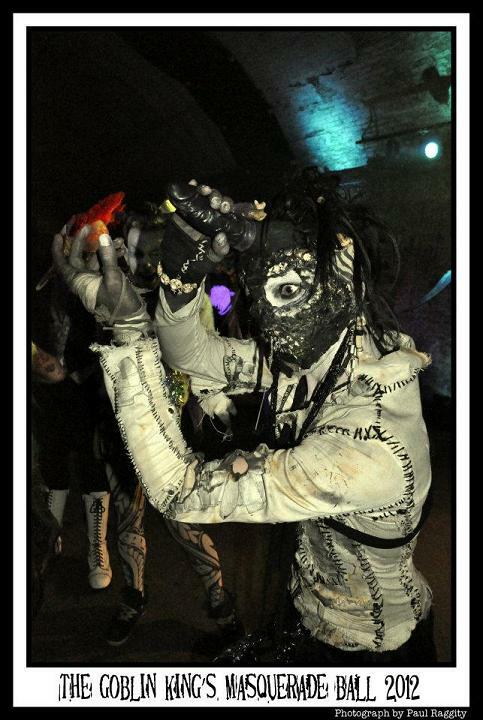 It's not every day the Goblin King throws a ball, but when he does, say hello. There's a theatre of creatures just waiting to make your acquaintance. In the Old Vic tunnels buried beneath the lines of Waterloo station, something unearthly, something very Middle-Earthly recently reared its head. 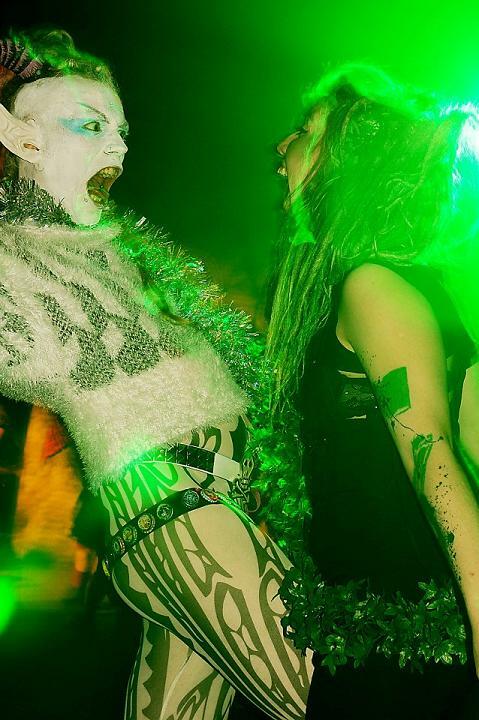 For one night only, I was a guest of the Goblin King and his Theatre of Trolls – a ball of masks, dresses, disfigurement and decadence. On first stepping into the dark and high-walled tunnels, I was greeted by two immoveable figures, clutching clubs. Two falcon-headed beasts in armour, the closest with breasts exposed. I was at once seduced and repulsed. Was this she-creature living or dead? Her stillness gave her authority, and her coldness too. I wanted to touch her, but dared not. Was this how the night would proceed? Mixing dread with temptation? I moved on, sure I would return to see if and how she had moved. If she was living or dead. The wretched, the beautiful, the horned-nosed and sweet-bosomed soon strutted and strolled before me. A black corseted ram-headed man with collar nodded to make my acquaintance. More alive than the guards, he flirted with a trio of dashing ladies from Marie Antoinette's court, though all deathly looking, and took their hands as they rubbed his ample fur. This was no ordinary ball. Before long, trolls, faeries, goblins – every possible creature of lore had passed before me. Tolkien and Lewis would've been proud. In a cobbled court, a stocks served to hold a jester, while his mistress beat his behind to the delight of all gathered. A man in military uniform soon offered me champagne. A gift he told me. I took his glass, and watched him dance with his pixie friend by a circle of elves. Everyone revelled in their otherworldliness, their dress, the phantasmagoria surrounding them. In the same vein as the guardians I'd met on entering, everyone gathered was straddling the lines of horror and beauty. The angels were stained, the faeries were blackened. The brides wore torn dresses, while the grooms sported horns. For those craving the sensual, there was going to be a dance with death too. With the ball in full swing, the most outrageous creatures were gathered to receive their crowns. Puppets and words scaled the stage, before an all-out throwback soundtrack kicked off to keep us dancing until the early hours. "a ram-headed man and a handful of pixies"
As with anything in life, the most extraordinary can become the most ordinary thing in the world. And there were moments when dancing with a ram-headed man and a handful of pixies seemed absolutely natural. 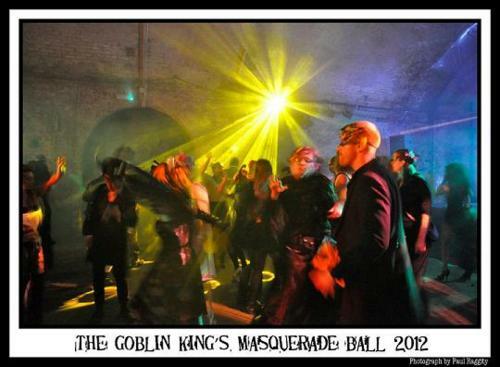 But this was the Goblin King's Ball. It was supposed to be like this, wasn't it? On leaving, I found a hall of busts. Somehow I'd missed it on arrival. 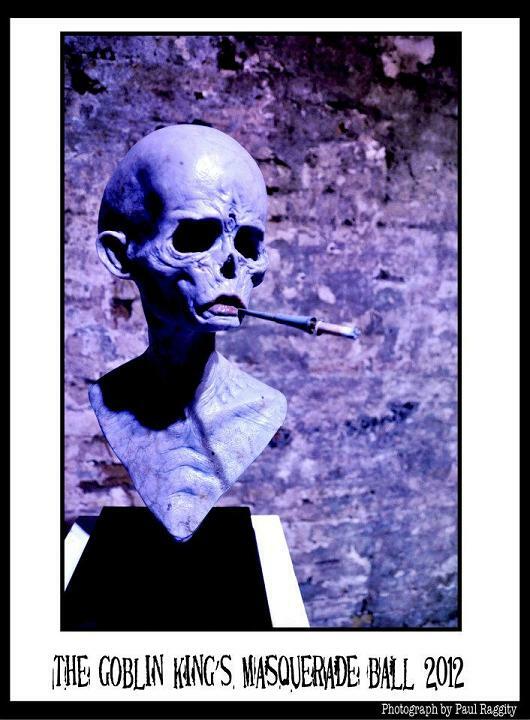 And now they were here to crown my night: a series of scalped, elongated, twisted, alien heads with cigarette holders and over-sized eyes. And as before, the guardians were there. The she-creature was there. Still she was fixed, and still I couldn't tell. Better not to touch. Better to remember the beasts, the lure, and return another year. For the Goblin King's Theatre of Trolls will surely return. In the meantime though, the magic and devilry of that night may play within me, and inspire a little happy madness of my own.